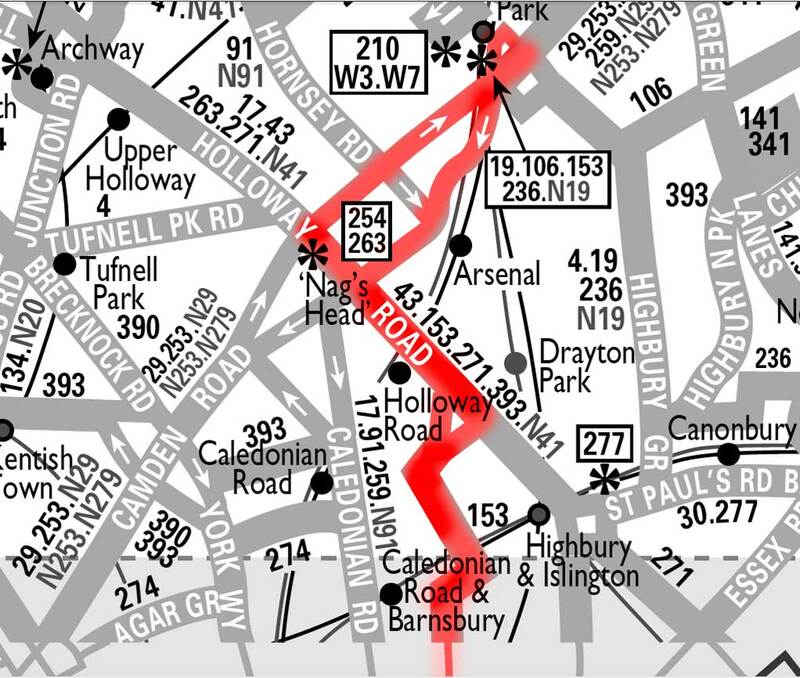 Extended from Angel to Tottenham Court Road Station via Route 19. Withdrawn between Angel and Tottenham Court Road Station and converted to midibus operation. Late evening service introduced. Operated by London Country North West from a base at Coppetts Wood. Operation transferred to LONDON BUSES operated from Gillingham Street basement. Diverted at Holloway to Finsbury Park and extended at Islington to Smithfield. Extended from Clerkenwell to Liverpool Street - the short section of St John Street to Smithfield withdrawn.